Somehow you lost your Windows Phone. It might have been stolen, or it could be down the back of a chair in your local pub. How will you get it back? Hopefully, you enabled the native Find My Phone setting before you were separated from your phone. If you did, you can now use the web-based service to retrieve it. It might be the opinion of some that a lost Windows Phone device isn’t all that big a deal. After all, they’re not exactly iPhones or Samsung Galaxys, are they? Well, that’s not really an argument. Regardless of the operating system, Windows Phone 8 Windows Phone 8: The Complete Review Windows Phone 8: The Complete Review Question: how do you improve on perfection? Answer: you wait for someone else to have a go. 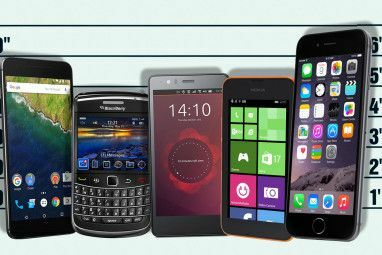 A quick look around the smartphone market reveals that Apple’s iOS and Google’s Android operating systems are top... Read More handsets have a high specification, especially those produced by Nokia. While the operating system isn’t so bloated that it has a need for anything above a quad core CPU at present, there are other aspects to consider, such as high definition displays, storage space and battery life. When it comes to Nokia devices, then there is also the added element of the camera, which is supported by a Carl Zeiss lens and superb image processing software and the selection of impressive camera apps Five Amazing Nokia Camera and Image Apps for Lumia Windows Phones Five Amazing Nokia Camera and Image Apps for Lumia Windows Phones Since Microsoft and Nokia announced their joint venture back in 2011, there has been a general shift towards the Finnish company in the Windows Phone manufacturers’ market share. Nokia has been innovating and producing a... Read More . Phones such as the Nokia Lumia 920 Nokia Lumia 920 Review & Giveaway Nokia Lumia 920 Review & Giveaway A couple of weeks ago, Nokia introduced two new devices to the world: the Nokia Lumia 925 and the Nokia Lumia 928. The top notch of Windows Phone 8 devices, these two smartphones will only... Read More , 925, 1020 and higher have remarkable cameras as good as – if not better than – those on other devices. Your lost Windows Phone might contain your personal data. It might have a collection of recently-snapped photos, vital emails and documents and apps that are a lifeline to your work. 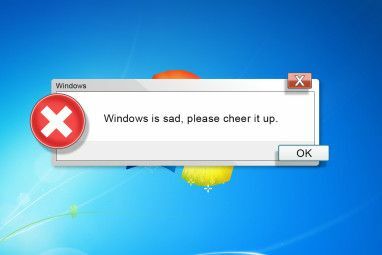 Losing a Windows Phone can be as devastating as losing a phone running any other productive operating system – with cloud applications installed, it could be as risky as losing a desktop computer. While you won’t find any third party tracking apps like Prey Track Down and Recover Your Stolen Laptop With Prey Track Down and Recover Your Stolen Laptop With Prey Read More for Windows Phone, Microsoft offers the Find My Phone service for Windows Phone owners. The service is the same for Windows Phone 7 and Windows Phone 8 devices, and requires that you enable the options in Settings > Find My Phone. The service uses triangulation technology to locate it, so you don’t need to worry about having mobile Internet activated – as long as the phone isn’t in airplane mode, everything should work fine. With the Find My Phone option enabled (see above), you can launch the retrieval process whenever you lost sight of your device. The first thing you should do is log into www.windowsphone.com and select Find My Phone via the drop-down menu. You will then see a map, and the approximate location of your phone will be displayed. Various factors affect the precision of this feature; for instance, if the phone was stolen, it might still be in transit, which makes it tricky to find until it stops moving. Once you know where your phone is geographically, there are three things that you can do to retrieve or disable it. If your phone is somewhere close by, the sensible approach would be to ring it. Of course, on the off chance that you don’t have another phone to hand, or cannot guarantee you will find it before the phone rings out, Find My Phone offers a useful Ring feature, which sends an instruction to your Windows Phone to play a special ringtone reserved for this purpose. You shouldn’t have much trouble tracking down the handset with this feature, as long as it’s within hearing distance. This alert also plays at full volume, overriding vibrate mode or low volume settings. Of course, the situation may be more desperate; it could be that your phone is in the hands of someone you do not trust, or has been left in a position where it can easily be found. The Lock option allows you to display a custom message on your phone’s screen and set a new 4-digit PIN that will be required to unlock the device. You will also have the option to ring the phone when it is locked, so that it attracts attention. Given that the majority of people are honest, there is a good chance that the device will be spotted, the message read and your Windows Phone will be returned. We can think of seven reasons why someone might return your lost phone 7 Reasons To Return A Lost Phone 7 Reasons To Return A Lost Phone If you happen to find an expensive smartphone on the street, youll probably wonder what to do with it. In short: return it! Read More , so don’t be disheartened – your phone may well come back. The final option is, of course, the most devastating. 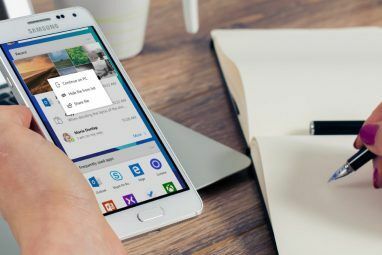 In order to protect your data (including access to more information via your phone’s SkyDrive app), you should use the Erase tool to remotely reset your phone. This reverts the handset to factory settings, and will result in the Find My Phone service being unable to track it. Naturally, this is only for desperate situations, and for you to use the erase option you must check the box labelled I’m sure! Please erase my phone now before proceeding with the Erase button. Tackle Thieves With This Native Windows Phone App! 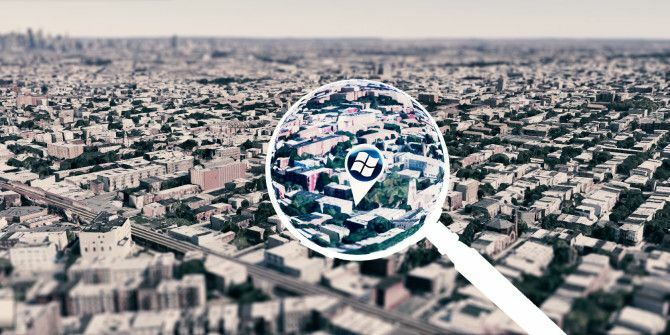 The Windows Phone tracking app is simple to use, enabling you to quickly find, trace and if necessary, erase your device should it be lost or stolen. If you’ve prepared your device correctly and perhaps sent a polite screen message, someone might find and return it. After all, it’s not that hard to return a lost phone How to Return a Lost Phone in Four Easy Steps How to Return a Lost Phone in Four Easy Steps Every year, millions drop their mobile into the unknown. In the US, about 50% of lost devices are returned to their owners. The rest get resold or reused – while thievery may seem eco-friendly and... Read More . For the best results with this service, however, you should put yourself in a position of never having to use it. Did you ever need to use the Find My Phone service? How did it go? Why is find my phone not working in my phone,each time I try,the response is setup needed why? Microsoft site for find my phone never seems to work, if I have my phone here at home, it finds it no problem, but when I know my wife has it out and about or at work, I always get a message : We can’t reach your phone right now. We’ll send you an email when we find it. " and when I try to report the problem to Microsoft, there doesn't seem to be any place to let them know, stupid thing does NOT work. Same here man i am very disappointed with such service by Microsoft. I cant find my phone when i actually lost it. it says "We can't locate your phone right now. We’ll send you an email when we find it"
How Can I check My New (Used) Smartphone Is Stolen or not ? How do I download this????? I dunno what else to do they told me they will found out who steal it by the camera. Oh yes it does work. My boyfriend lost his phone and I went online and found it. When I went to the house, at first the person did not know what I was talking about, but then I said, "Do I have to break out my laptop to show you that the phone is here?" Then they remembered finding it in the driveway. Whatever u have discussed above will be valid when any windows phone is in switched off position or the sim which had been used taken out of the phone. I think you mean "invalid". find my phone aap was use less for me ,bec few days ago my nokia lumia 1020 was stolen and i m not able to find it . I got my phone I click on the "Find My Phone", but when it does not open a window function "Always send commands and apps to my phone push notifications (not SMS)" is only 2 functions: on / off "Find My Phone" and "Save my phone location information periodically and before it resolves". Why my phone does not function “Always send commands and apps to my phone push notifications (not SMS)"? Where are you Irm? There's a possibility that Find My Phone doesn't work in your territory. Could you explain further? What are you doing when this doesn't work? Are you attempting to test Find My Phone? Lost mine a few days ago. The thief didn't want to bring it back. He kept stalling so I locked it. Great news, Prince, glad you got a result from it! Thanks for sharing. i lost mah phone today..tell me wtt should i do bro??? Sherry: follow the instructions above. booooo!!!!!!!!!!!!!!!!!!!!!!!!!!!!!!!!!! . i just lost my windows phone yesterday and none of those things work ............. !!!!!!!!!! wtf .. This is a great tool .. however there are few things which i would like to share with you all .. 1.) The same sim number which was activated along with the phone , if that has been changed this wont work. 2.) What surprised me was even with the same sim number i tried Ring, Lock, Erase.. none of these options worked and i got a error saying try this service after some time .. its like you have a security blanket on this phone and the next moment you realize it is not. 3.) Last but not the least .. yesterday my dad windows phone (Lumia 520) was lost and i was like OK .. well i have this find my phone feature .. but it failed. I believe it only works as long as the sim card used to register the product on windowsphone.com (with the phone number) is still in the phone. So it's a fight against time if you were to forget it in the metro. You have to be quick to go online, locate it an lock it. For if someone takes the sim card out, it's over. that is possible only if you remember where you left it.